Flowers are blooming, birds are chirping and dorm rooms are still messy. For those whose dorm rooms need spring cleaning, here are some helpful tips for updating your living space. Start with the sleeping area. It is probably about time to wash those bedsheets that have not been washed since October. It’s OK to spend $3 and two hours of your time in order to not sleep on Pop-Tart crumbs every night. Also, no one really needs seven pillows. Those twin beds can hardly contain two pillows. Speaking of excessiveness, it is starting to get too warm outside for your blanket addiction. You can definitely shed a few layers from your cozy mega-bed. Moving on to the kitchen, also known as the mini-fridge and microwave stacked delicately on a plastic crate. It is time to get rid of those Arroz Mi Pueblito leftovers that have been in your mini-fridge for the past two weeks. Also, a George Foreman Grill … really? Remember when your mom packed those actual plates, bowls and silverware your freshman year? No one actually needs all of that in the dorm. Save that for when you live off campus and have no meal plan. Do you remember when you bought that milk? Yeah, it does not remember either. freshman year; it truly has no value outside of Impact except for sentimental reasons. You know that collection of stickers you have sitting on your desk? Either put them on your laptop or your water bottle and move on. They are just taking up unnecessary space at this point. 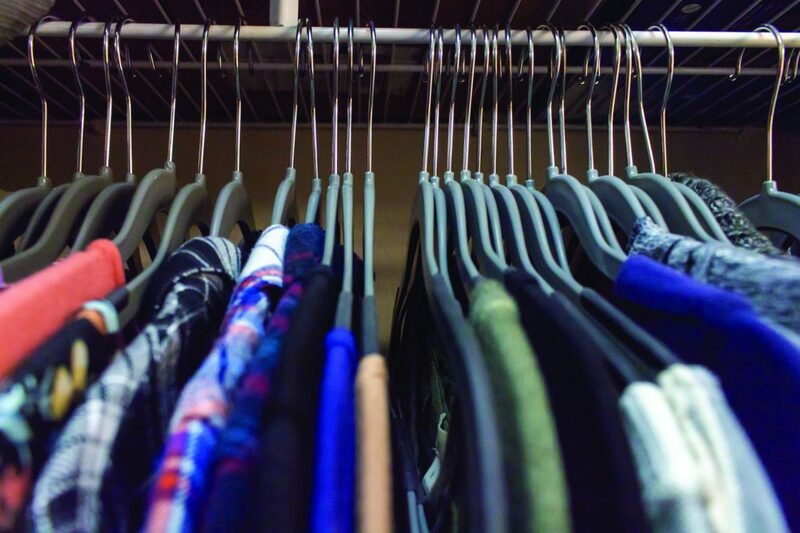 Now for the biggest monster of all: your closet. First things first: get rid of your T-shirts from high school. Your Beta Club T-shirt was probably pretty cool in high school, but it has no place in college now. Speaking of high school, it is safe to assume you are never going to wear that sports jersey you thought you would wear to an intramural game. You can donate all of your old clothes to the place where they belong: Goodwill. You can get rid of at least 20 function shirts. It’s OK; you will still have about 37 function shirts remaining. While on the topic of Goodwill, please stop buying clothes that you only wore once at Throm or a club mixer. It is a waste of money and a waste of space. Hopefully these tips will inspire you to get rid of the unnecessary items in your living space and toward a successful spring-cleaning session.